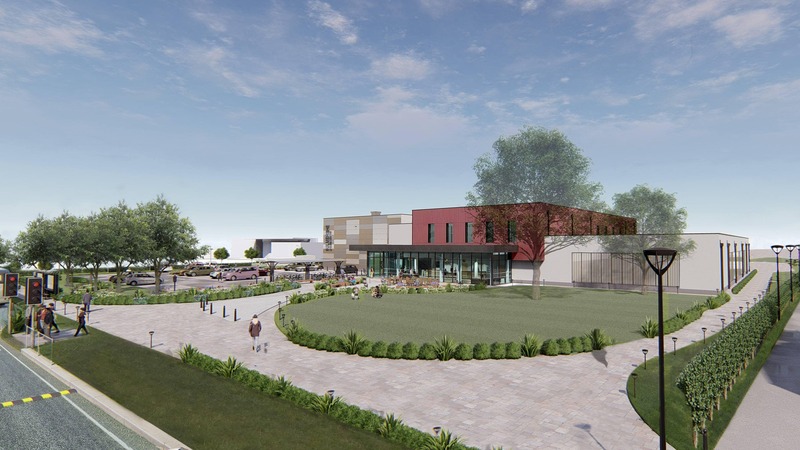 Pellikaan won the design & build tender to replace the tired former leisure centre in Woodley. 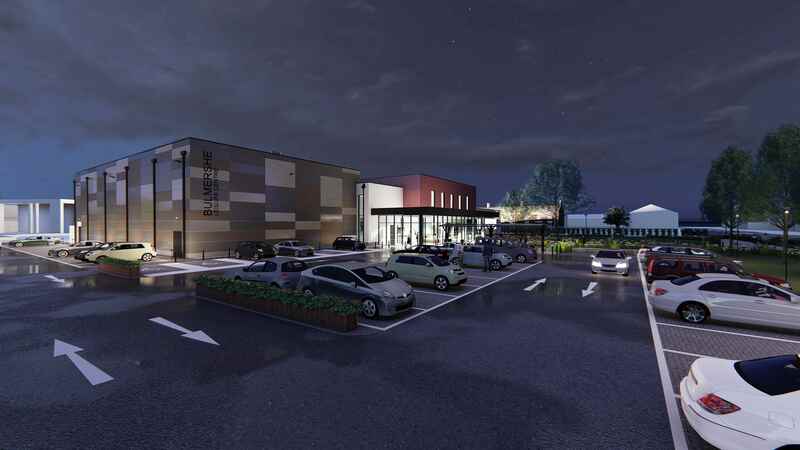 The new leisure centre will include a six-lane 25-metre swimming pool, a teaching pool with a movable floor, a gym plus a ‘live well’ gym, a four-court sports hall, and an additional studio and a café. 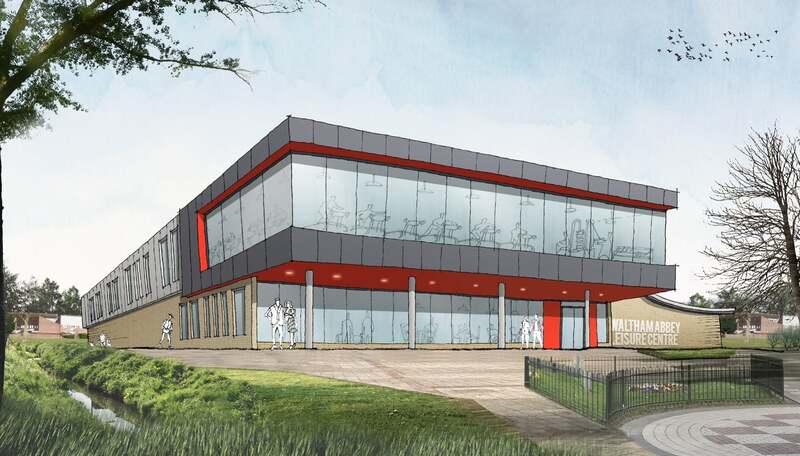 It will benefit the whole community with its up-to-date, accessible and flexible facilities, as well as preventative health services. 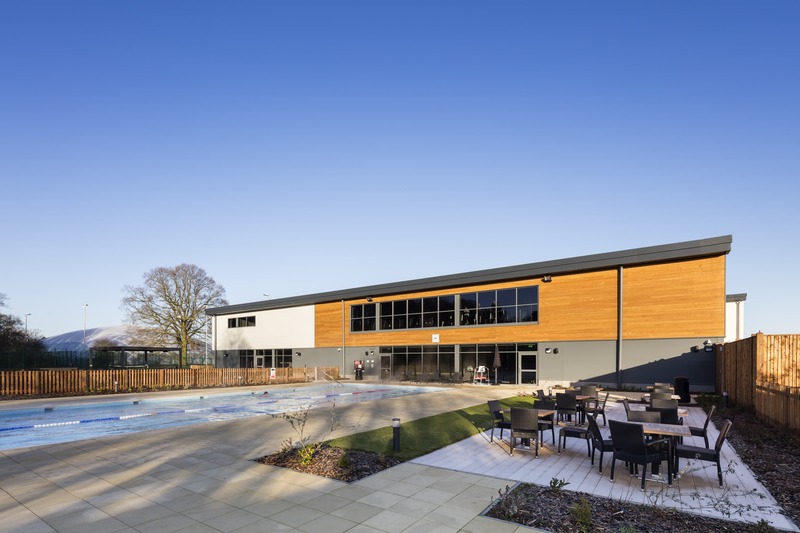 For the London Borough of Merton, Pellikaan delivered a new leisure centre at Morden Park. 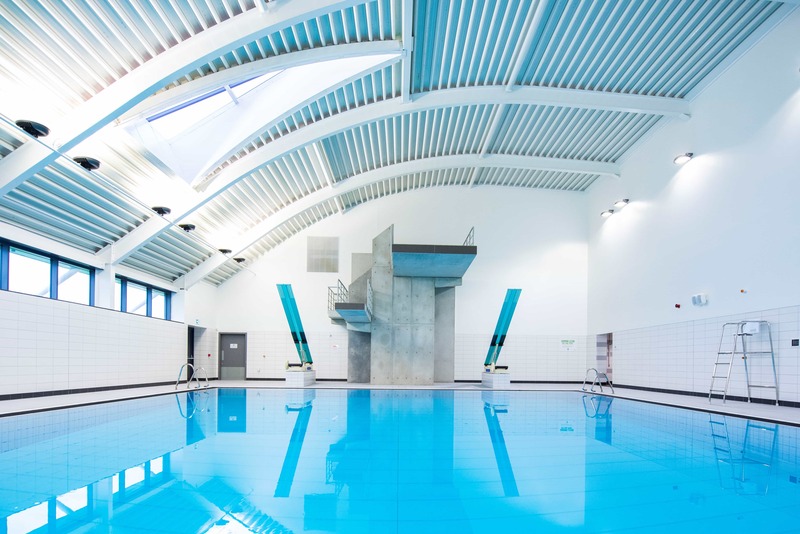 Morden’s new leisure centre features a 25 meter pool, as well as a learner pool with moveable floor so it is also suitable for diving from the 1 meter springboards – and from the diving tower with 3- and 5-meter platforms. 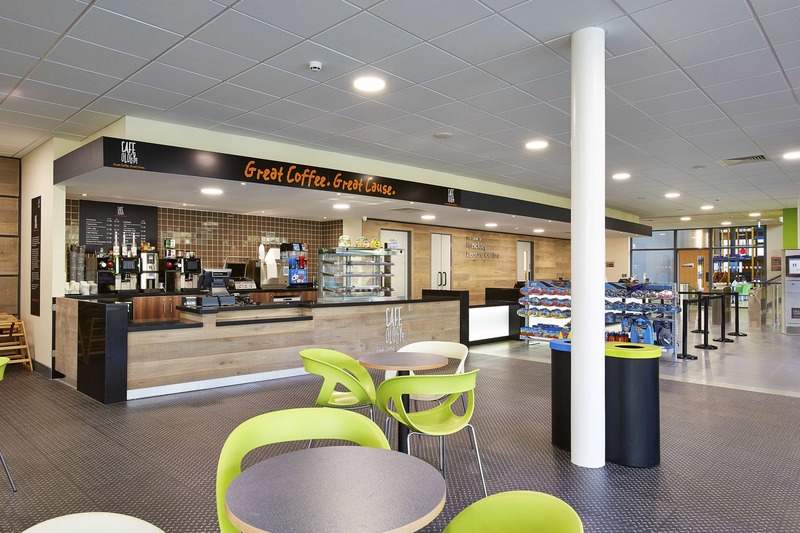 Other facilities include a spacious gym, large studio and café area. 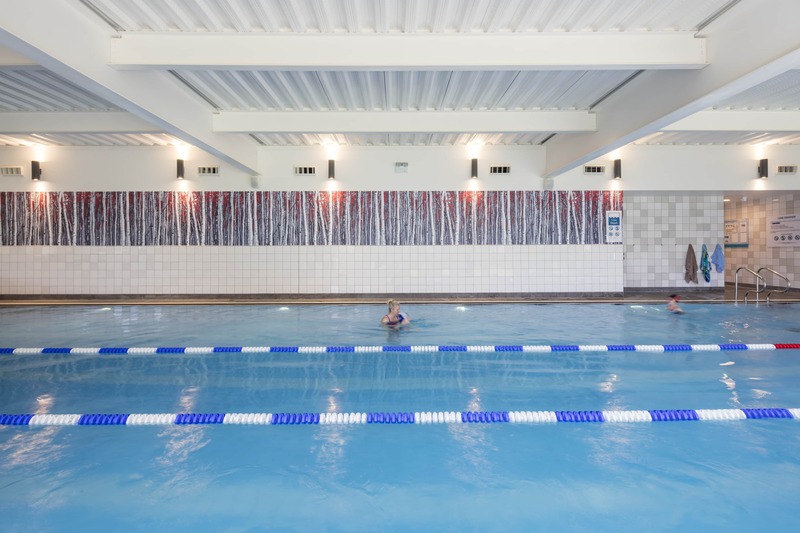 The centre is highly accessible with Changing Places facilities in addition to the substantial amount of dedicated toilets and showers and the pool pod. Measures taken to comply with London’s sustainability requirements include provision of solar panels, CHP, car charging facilities and a wadi for storage of excess rainwater. 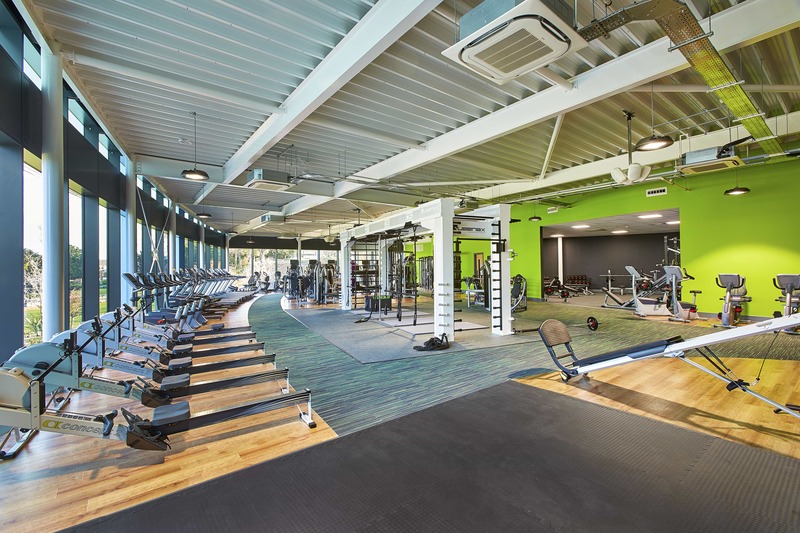 Places for People Leisure was awarded the contract for design, build operation and maintenance (DBOM) for the leisure centres of Epping Forest Council. 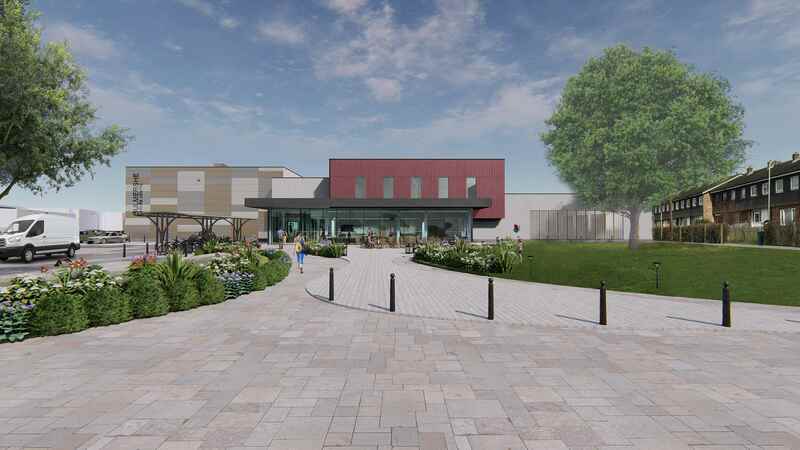 One of the leisure centres involved is the Waltham Abbey Leisure Centre, which Pellikaan will be building on the location of the existing community centre. 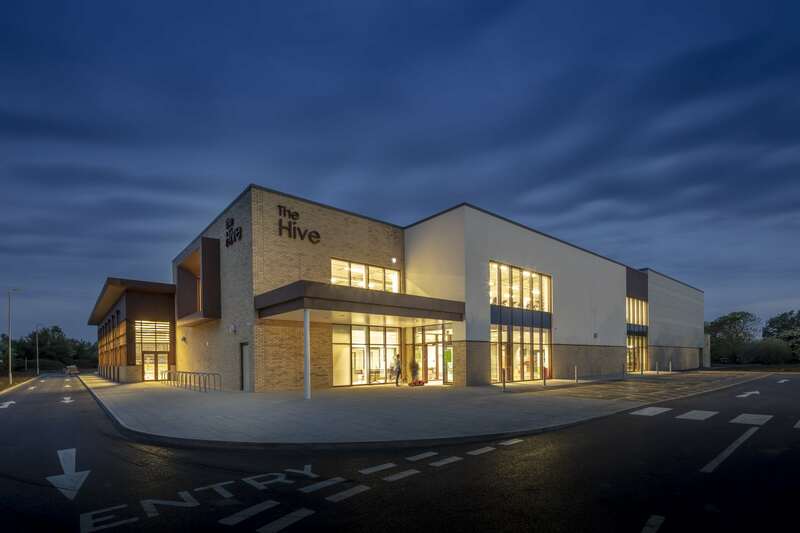 Therefore, the new centre will also have a community room. 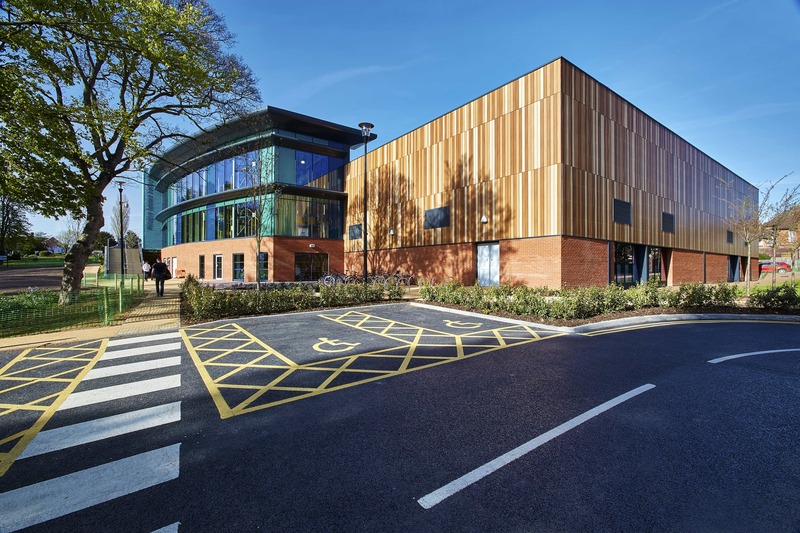 Other facilities in this design and build project include a 6 lane 25 meter pool, a learner pool with moveable floor, a gym and dance and spinning studios. 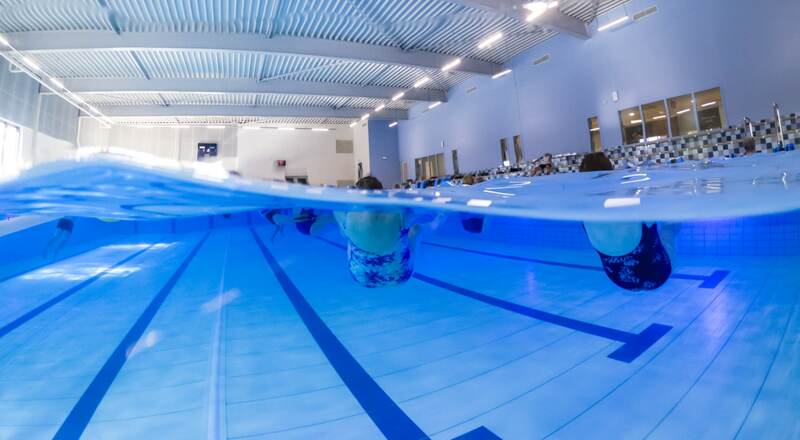 The 8-lane, 25 metre main pool with viewing areas as well as the learner pool have moveable floors. 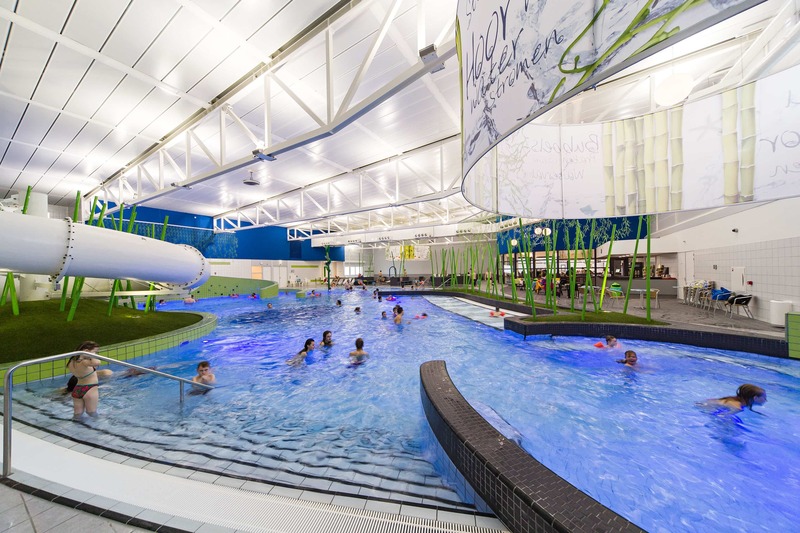 Further wet facilities include a family splash area and sauna and steam rooms. 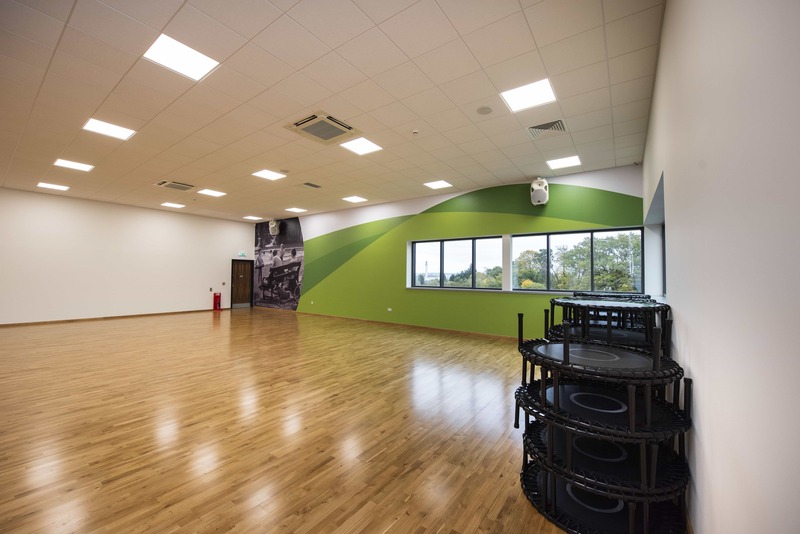 The dry sports facilities include an 8-court sports hall, large gym and several dance and spinning studios. 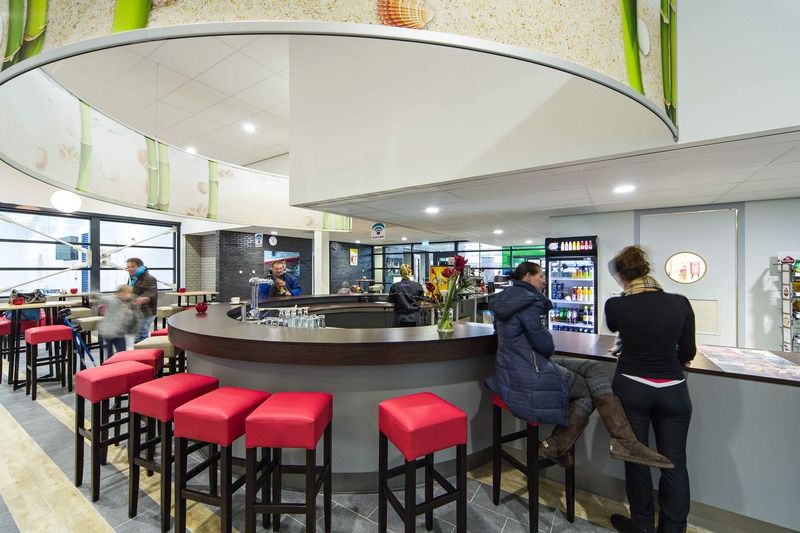 In addition there is a multipurpose / meeting room, a café and dedicated office space for the operator as well as the council. 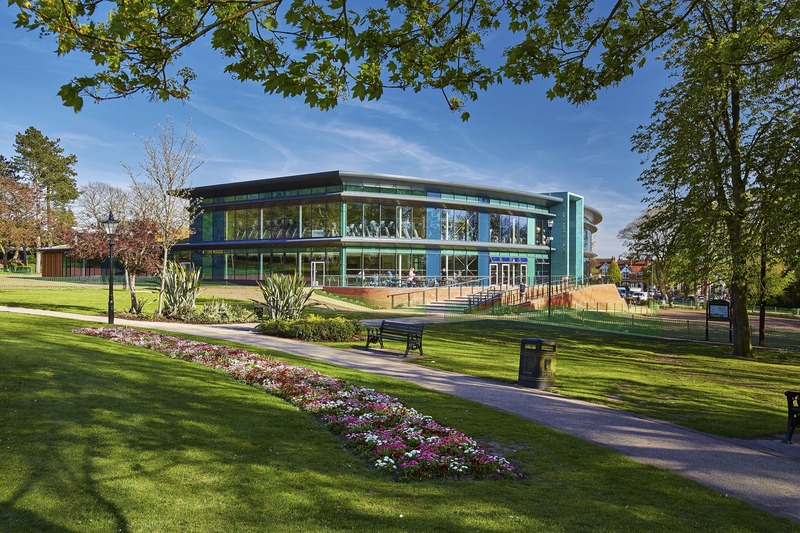 The area around the new leisure centre is landscaped and a clear, grassed play area suitable for school and community use was formed, as well as car parking facilities. 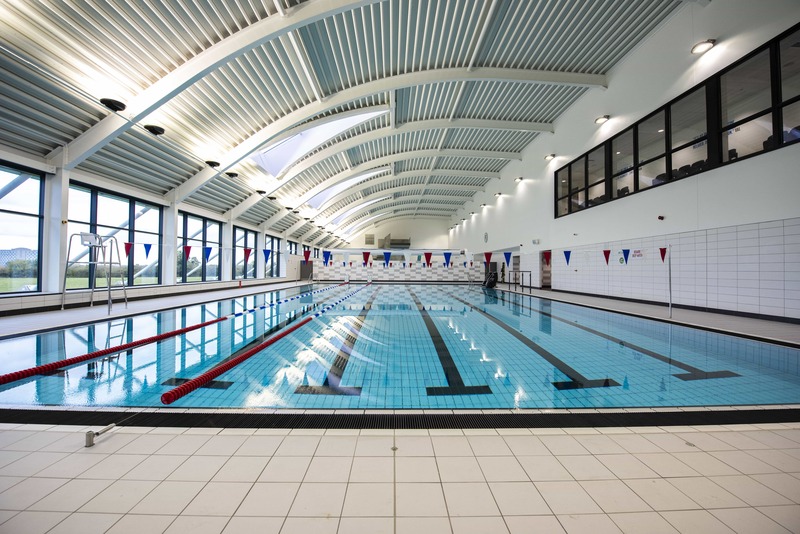 We worked closely together with our M&E partner and architect for the design and build construction of this new sports hall – swimming pool combination. 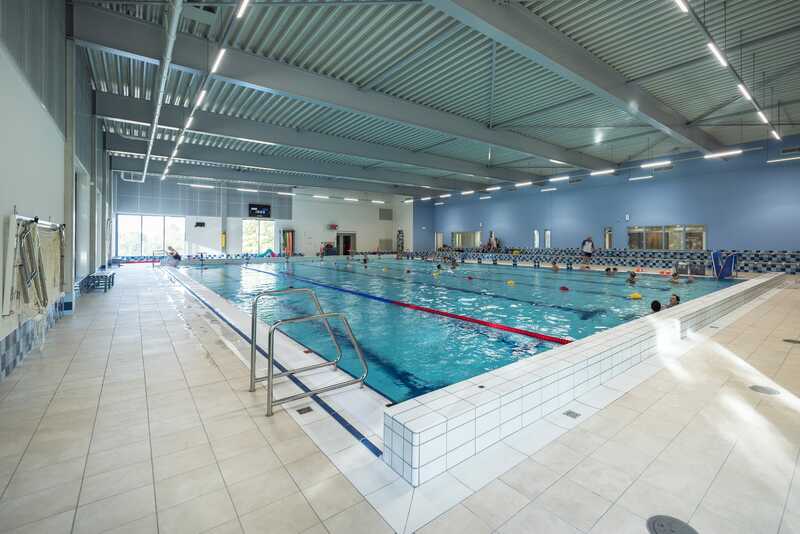 Long term maintenance of the installations is part of the contract. 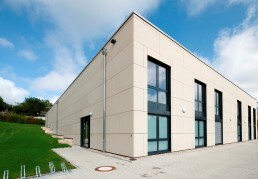 The compact building takes into account the requirements of the visitors very well. When you enter the building, you can see where you need to go right away. 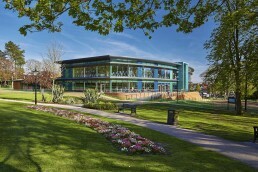 From the café are, you can see the sports hall as well as the swimming pool. 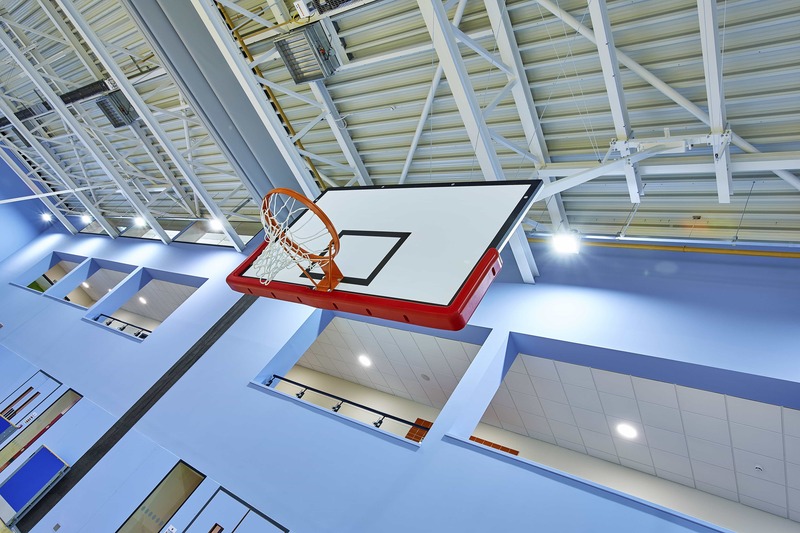 Visitors will feel welcomed and be enticed to do sports. 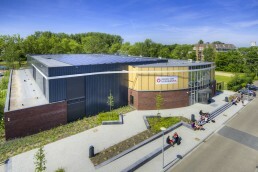 A lot of attention went to the sustainability of the building, which resulted in an all-electric centre: the first swimming pool without a gas connection. 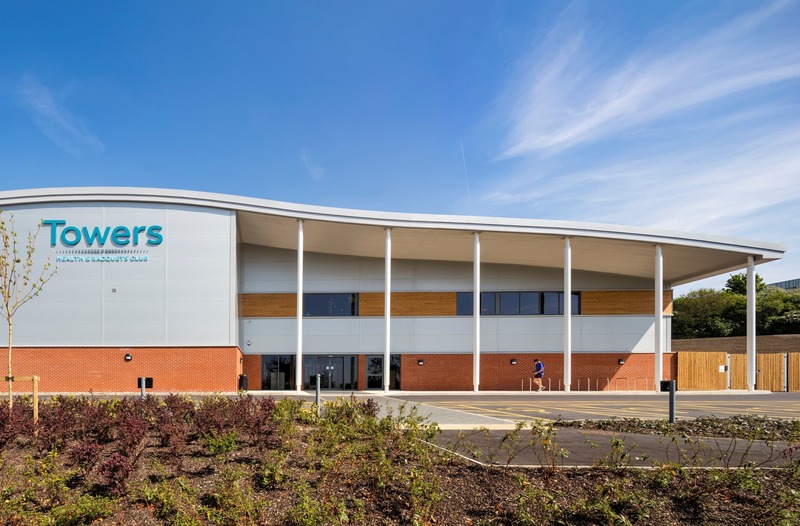 This is achieved by a combination of reducing energy requirements through high insulation values and airtightness, and with technical installations including solar panels, heat pumps, LED lighting and heat recovery systems. 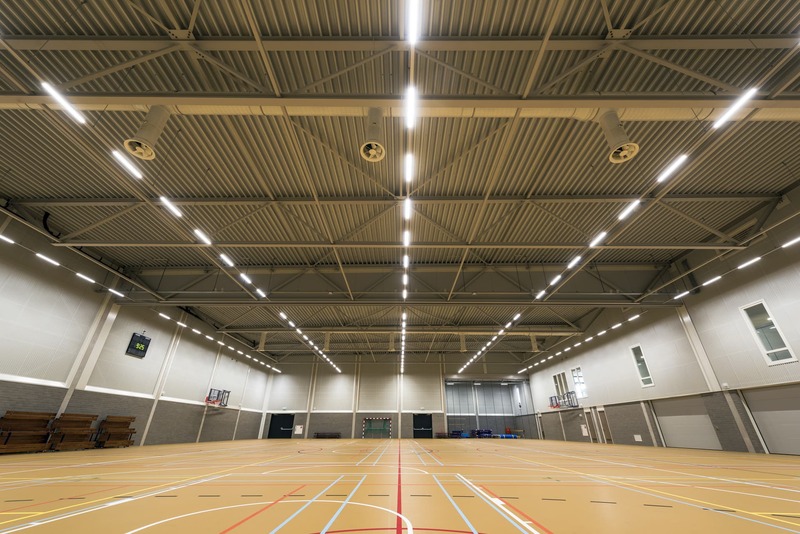 The Mondriaan Sports Hall will be realised at the Sports and Movement College in Delft, The Netherlands. 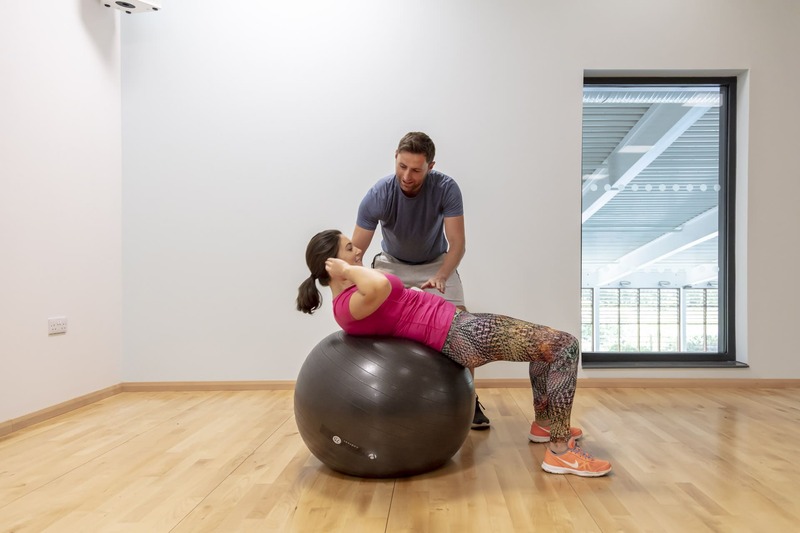 With their own sports hall, fitness and studio, students can now take these important classes at their own location rather than having to travel. 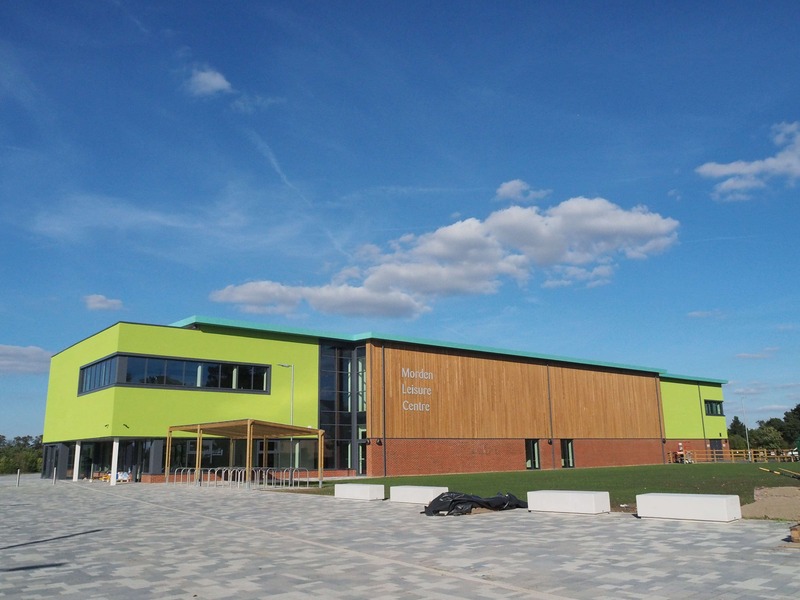 Clubs with which the school has apprenticeship or training agreements can also use the hall. 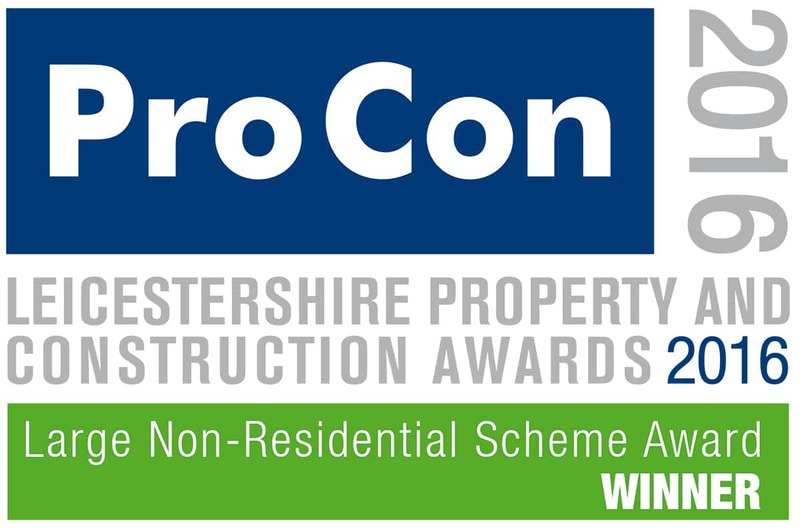 The Design & Build tender was judged on design, quality and sustainability. 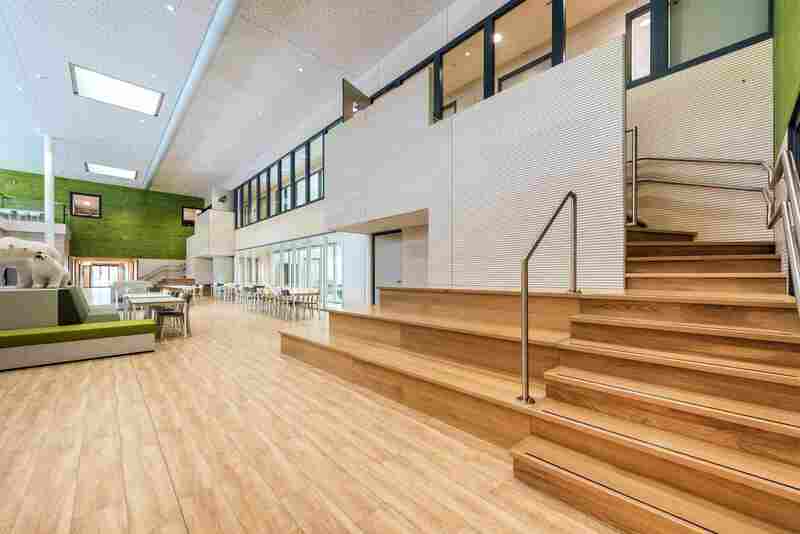 Therefore Architects Bureau Bos and Pellikaan paid extra attention to the technical design. 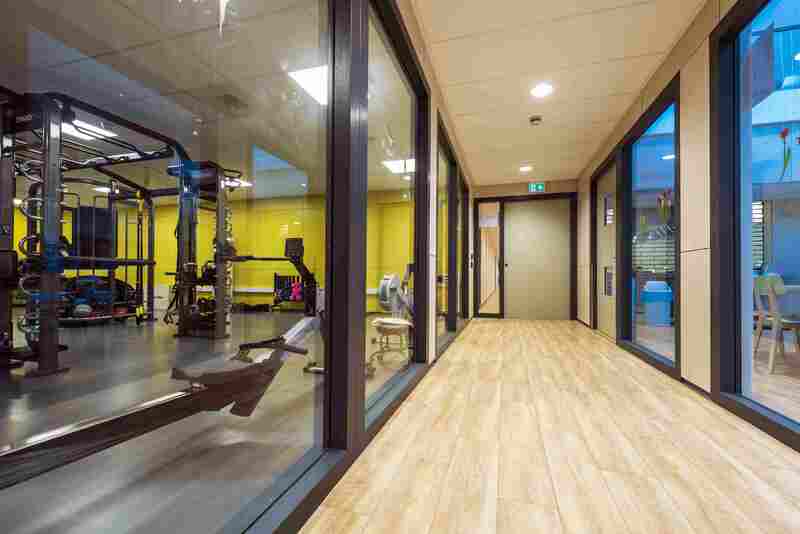 This is one of the first full-electric sports halls in Holland: no gas required. 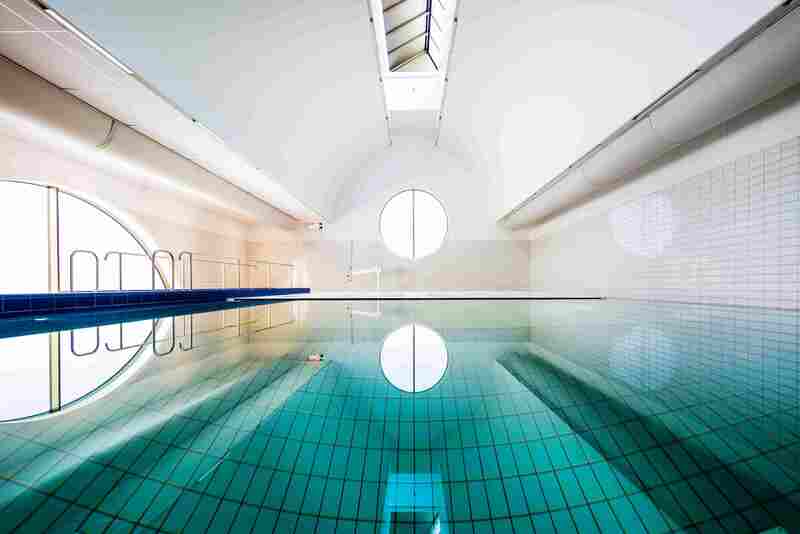 All air and water is heated electronically. Measures to minimise use of electricity include thermal energy storage, heat pumps, LED lighting etc. 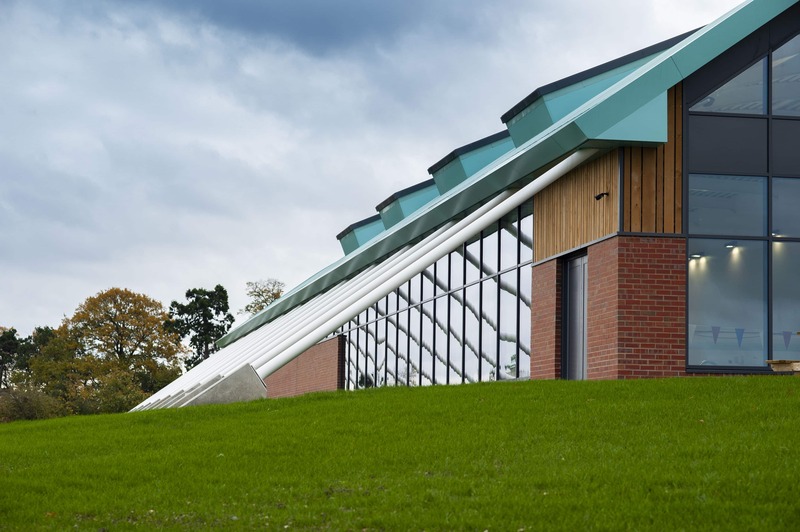 By installing a large amount of PV cells on the roof, the building produces all the electricity it needs. 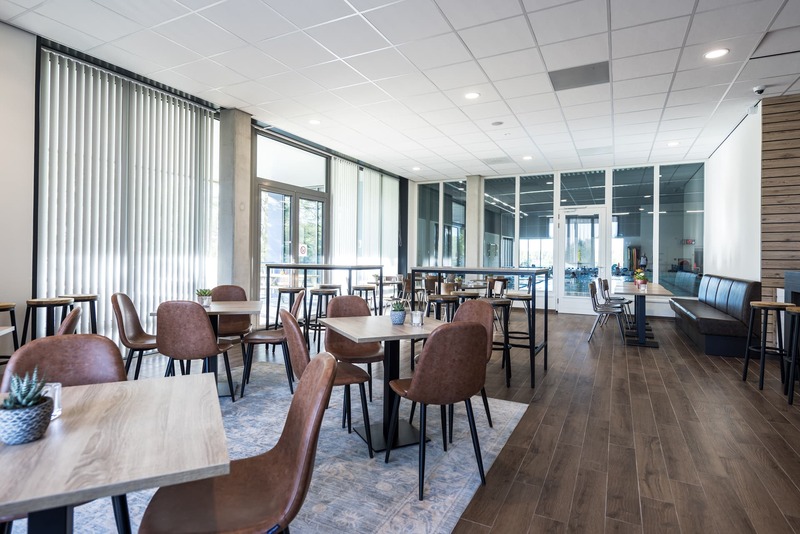 In this new Child- and Youth Centre, children and young adults with special needs will find a school for special needs education that also offers facilities for rehabilitation, sports and movement. And to add to all that, the high-tech Regional Expert Centre offers outpatient treatment. 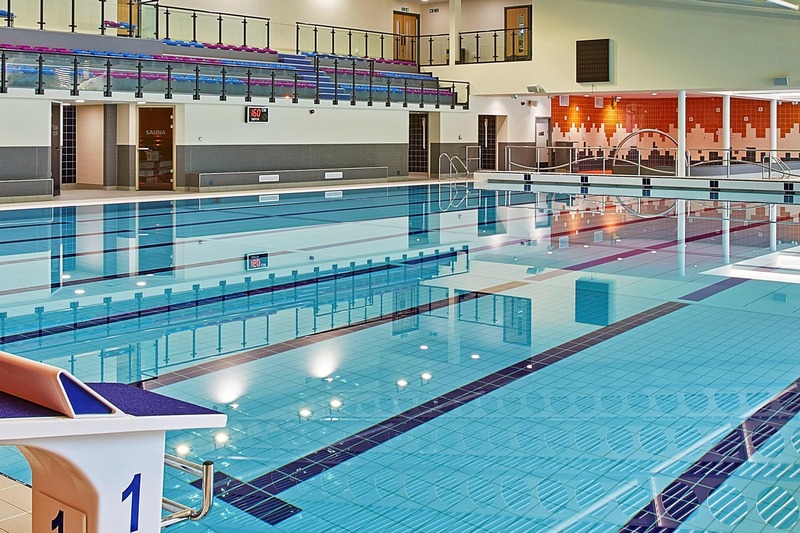 Therefore, in addition to the usual school facilities, this centre has dedicated sports and movement areas, a hydrotherapy pool and rehabilitation rooms. 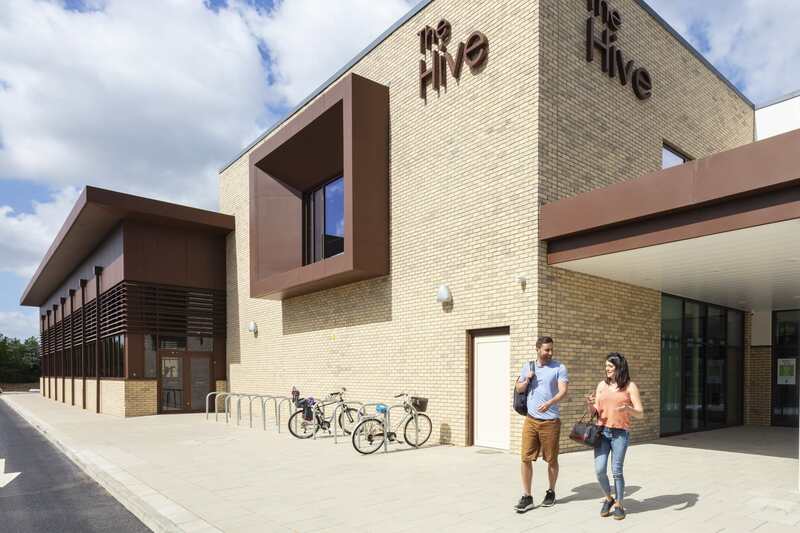 Every functionality of the building has its own domain, with its own entrance, but everybody comes together at the plaza. 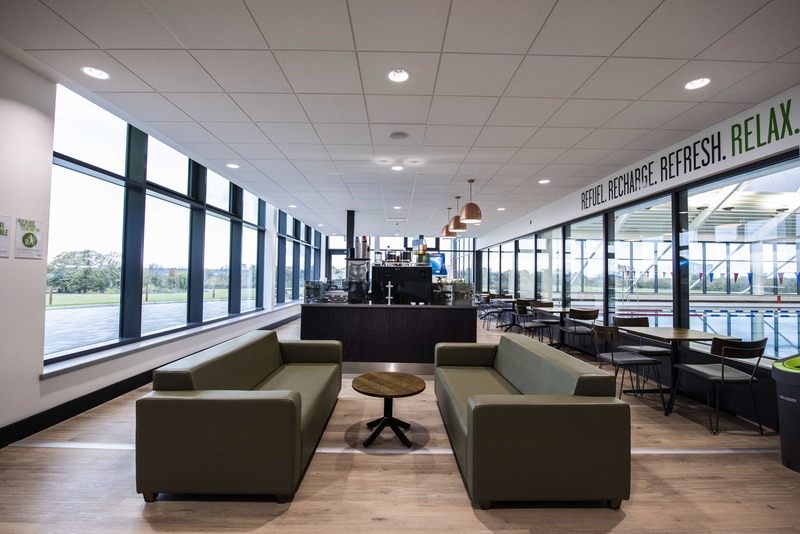 This large, high area houses the restaurant and has views to every domain. 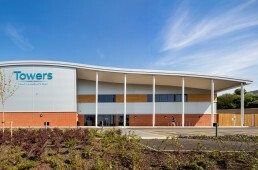 A separate part of the building is the Multipurpose Sports Centre. During the daytime, this is used by primary school pupils from the area as well as Heliomare’s primary and secondary school students. 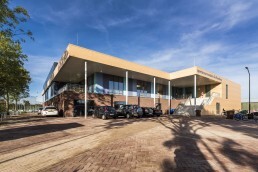 The Heemskerk Council’s new sports hall is built to Dutch Olympic Committee standards and therefore also excellently suited for use by local sports clubs. Engineer, Build, Maintain: the design by Architectenbureau Marlies Rohmer was further developed by our team before construction. After hand-over, Pellikaan remains responsible for maintenance of the building for 12 years. After Borussia Dortmund, TSG 1899 Hoffenheim is the second football club in Europe that has a Footbonaut Hall. Footbonaut should help players develop the speed of their ball control as players need to respond fast as well as precisely to the ball firing machines. 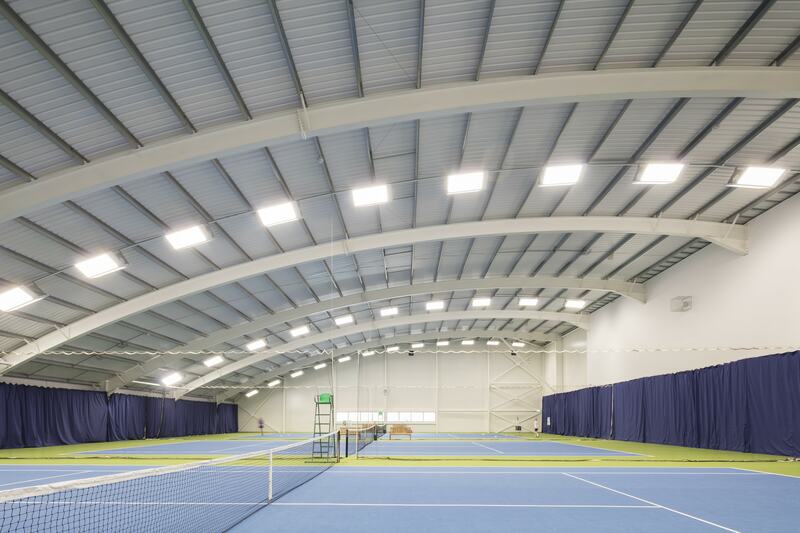 The 28m x42m hall is 7.60 meters high, offering sufficient space for ball practise. 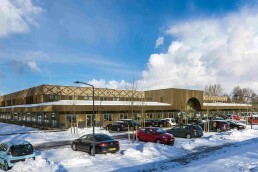 Two storey ancillary buildings accommodate equipment for video analysis. 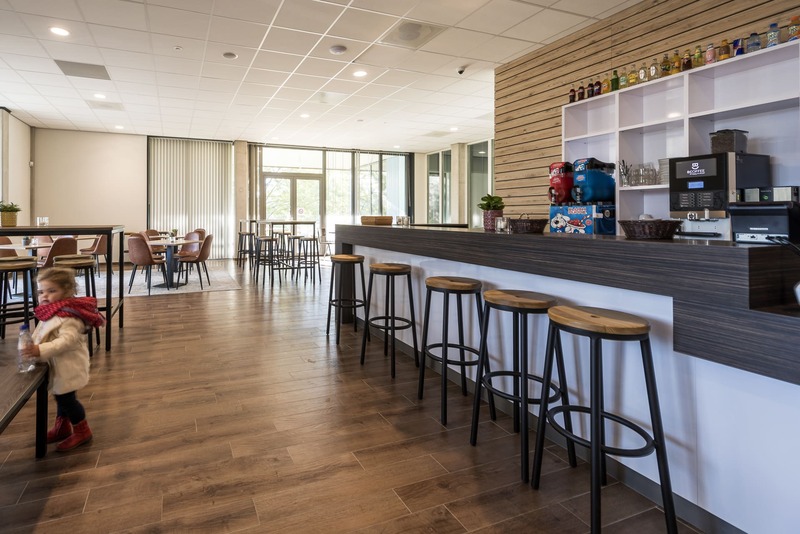 The hall is located at the Dietmar Hopp Sports Park, which is named after the founder of SAP, main sponsor of Hoffenheim. The Park is the training centre for league football club Hoffenheim. 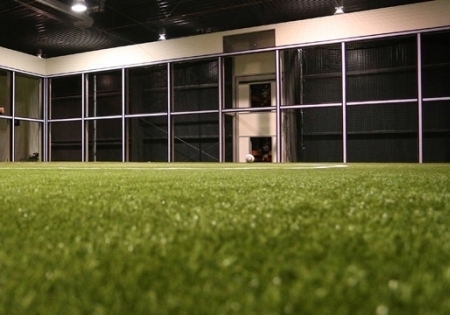 At the moment, the Footbonaut Hall is the most advanced football training installation. 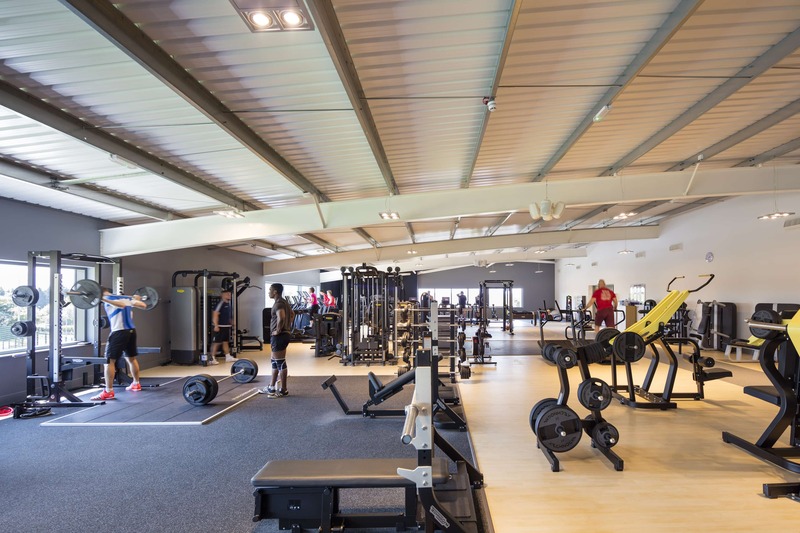 The technically advanced equipment fits seamlessly in the Dietmar Hopp Sports Park, which excells in using the latest technologies. Want to know how it works? See “Eight ball-firing machines, 72 squares” on the TSG 1899 Hoffenheim website, or check out the Borussia Dortmund showcase on Youtube. 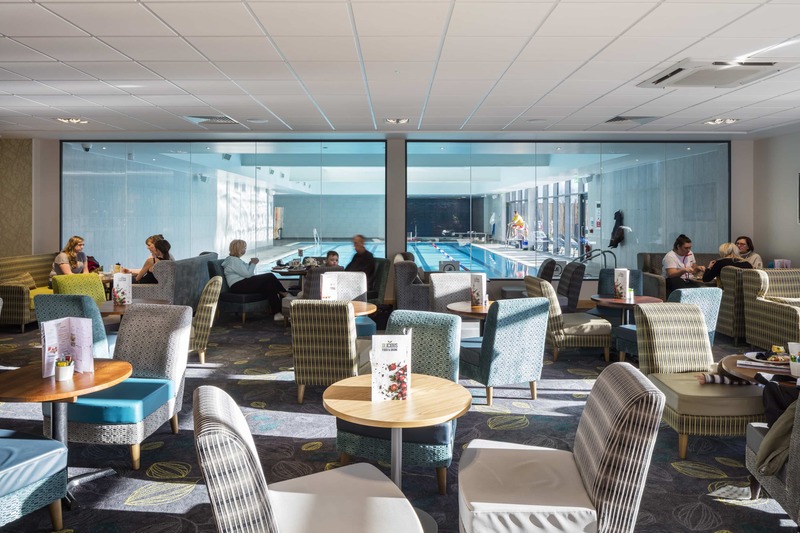 The new David Lloyd Club in Colchester provides ample opportunities for families to exercise, play, unwind and relax. 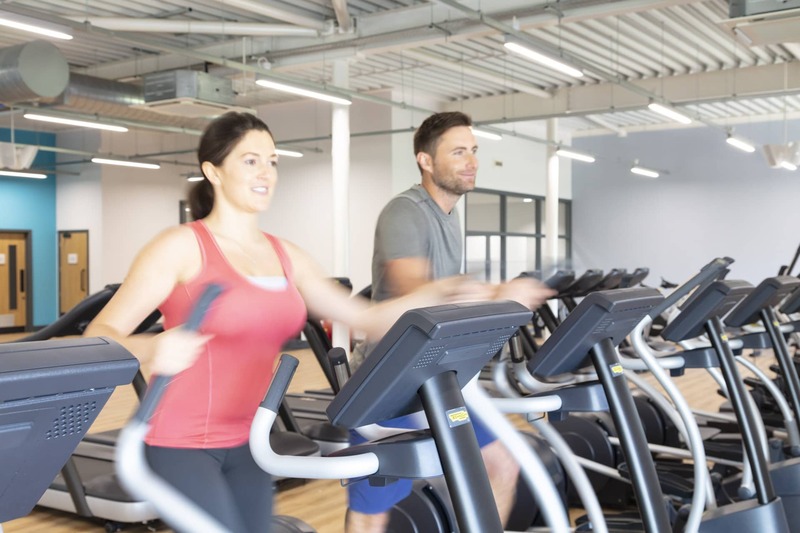 They find a state-of-the-art gym, indoor and outdoor swimming pools, dedicated studios for high impact fitness, group spinning and for mind and body classes and three indoor and four outdoor tennis courts as well as a show court. 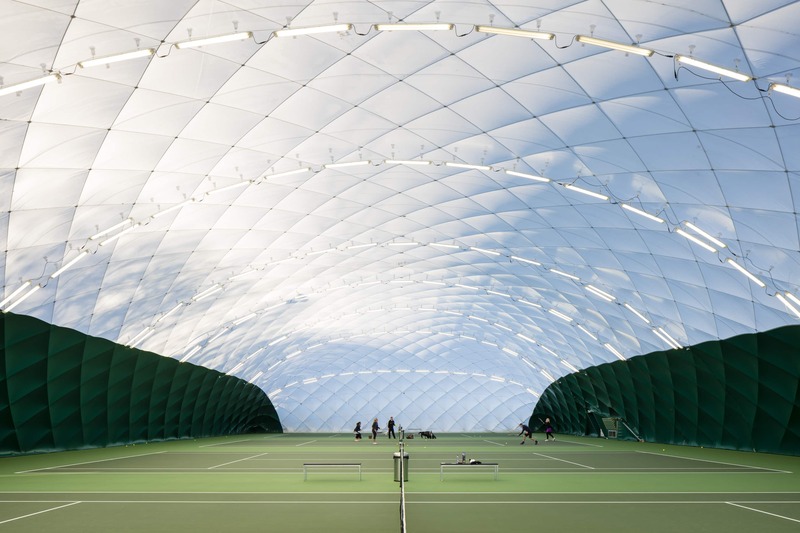 The outdoor courts can be covered with a dome in winter. 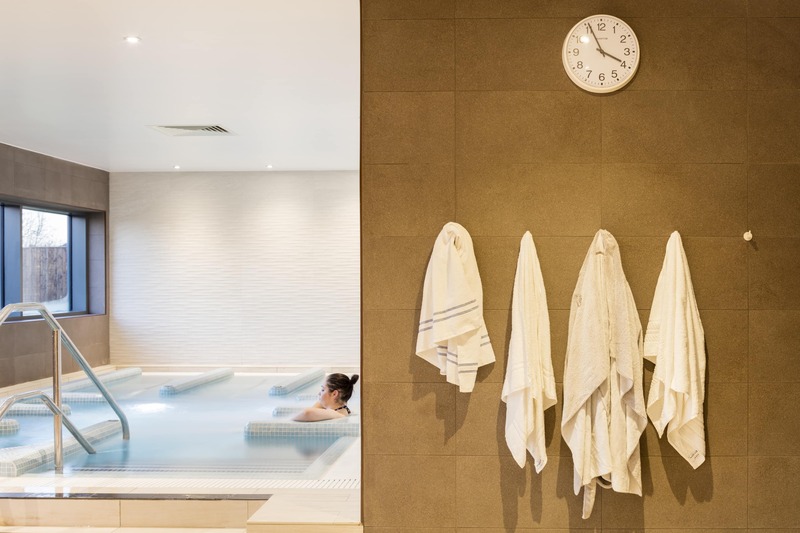 Visitors can unwind in the spa area, where they will find sauna, steam room, heated relaxation beds and a spa garden with a separate hydropool. 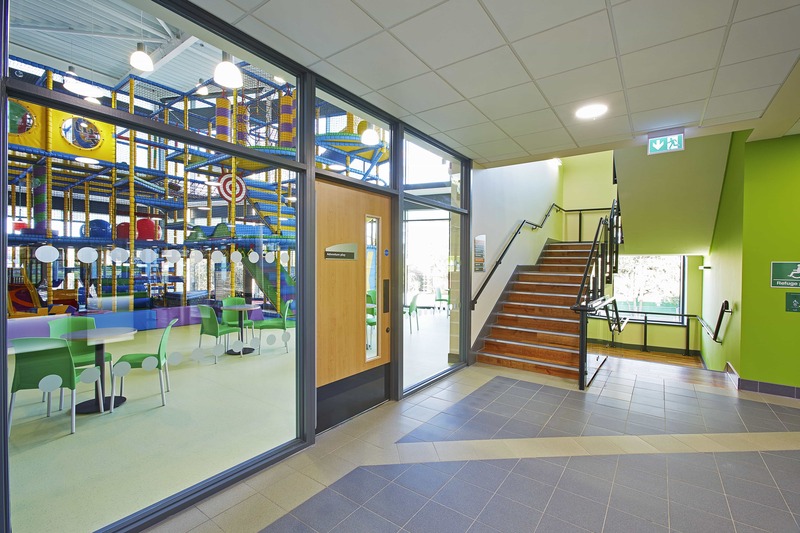 DLKids provide excellent Kids facilities including DLKids play rooms, a playframe and the kids pool. 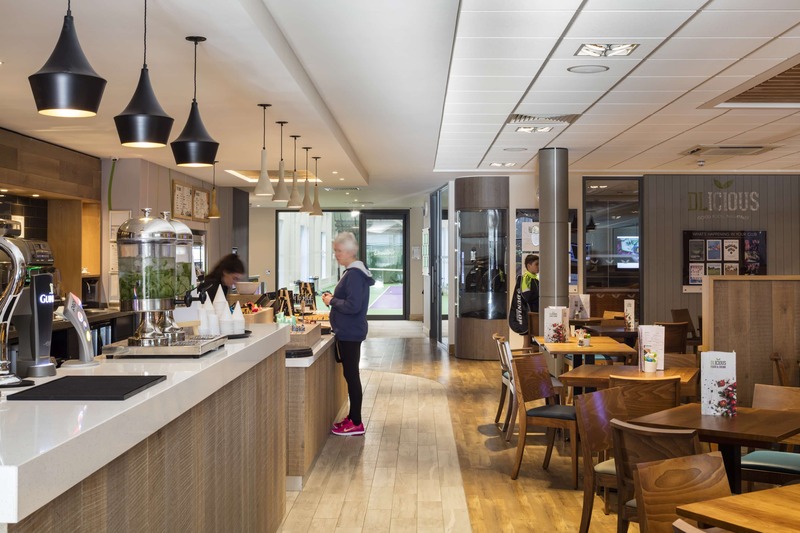 Facilities to relax include the DLicious Cafebar area, adults-only lounge and the outdoor terrace. 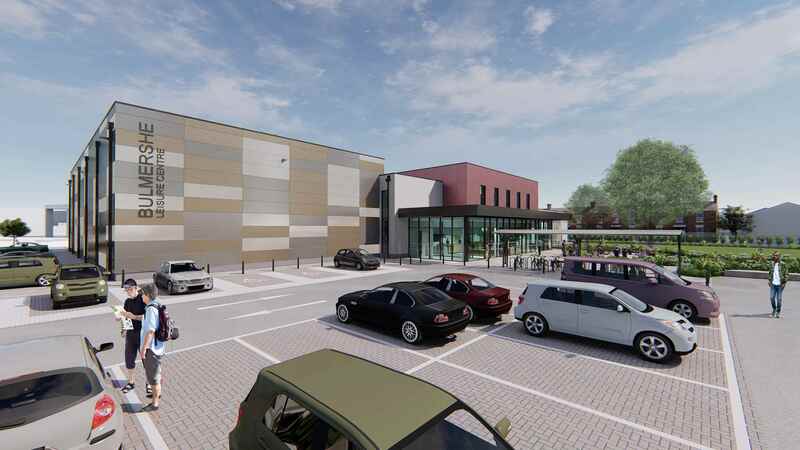 Excellent parking facilities will also be created (241 spaces). 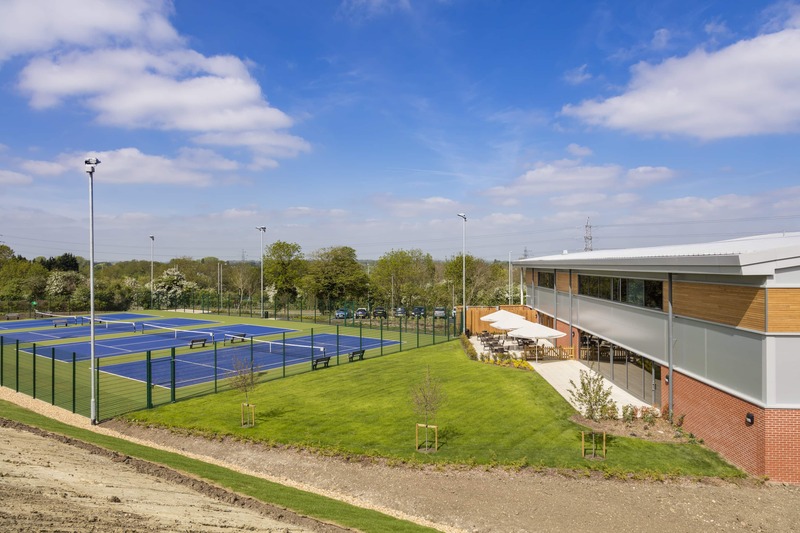 At this David Lloyd club, an outdoor Multi-Use Games Area was also be created, which will be available for use by the wider public. 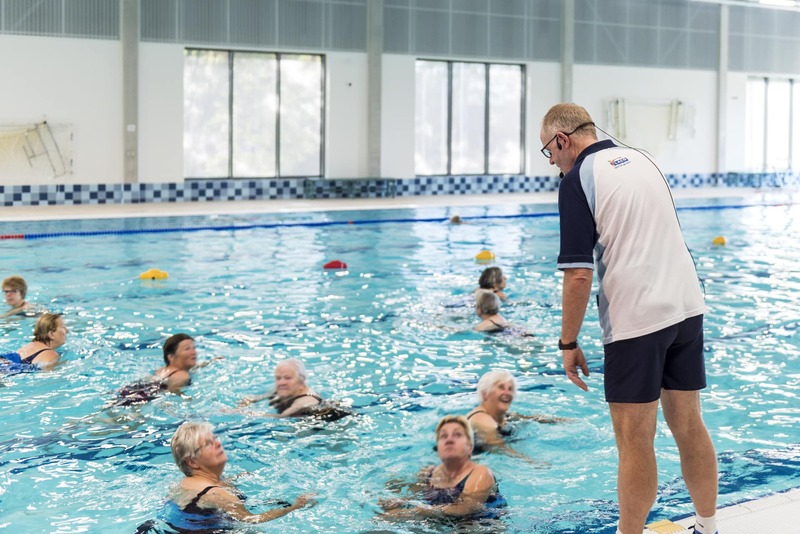 It allows community groups to participate in a range of different sports, games and activities. 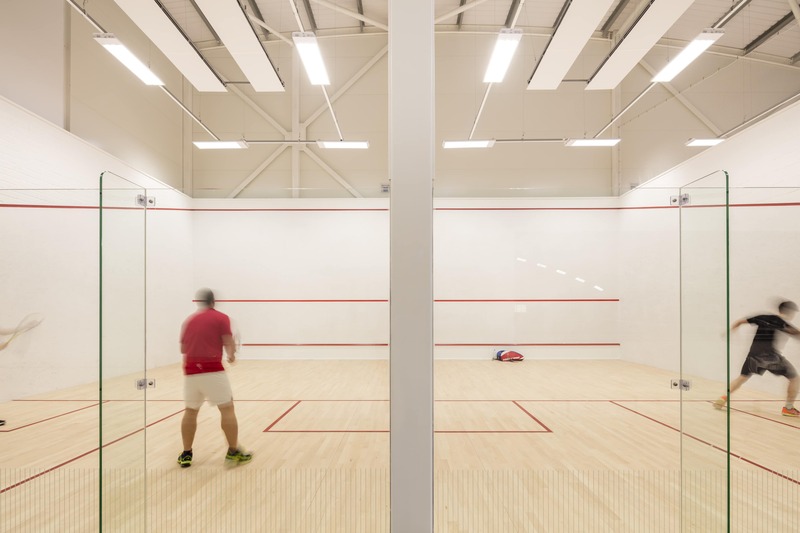 The squash club closed, gym facilities moved toward the budget end of the market, a tennis club closed and there were no permanent indoor tennis courts around. 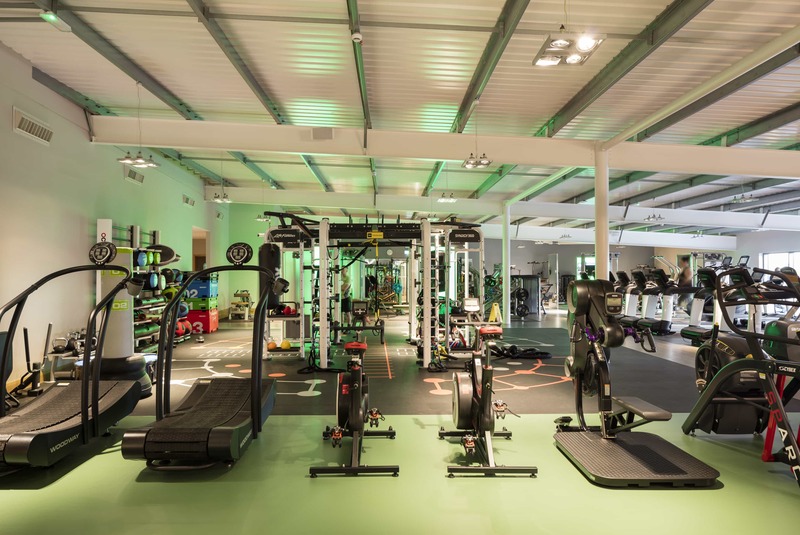 Enough reason for Matthew Towers in Bedford to make a commitment to himself, that if he was ever in a position to improve the racquets and gym facilities in his town, he would make it happen. 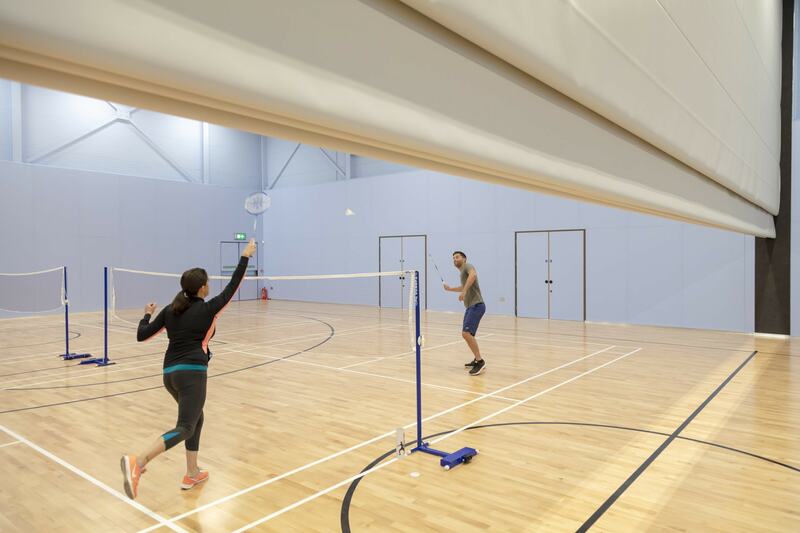 Now, many years later, it happened: Bedford got a high-end health & racquets club with no less than 3 indoor and 4 outdoor tennis courts, 4 squash courts, a gym, high energy studio, mind & body studio and a state-of-the-art spin studio. 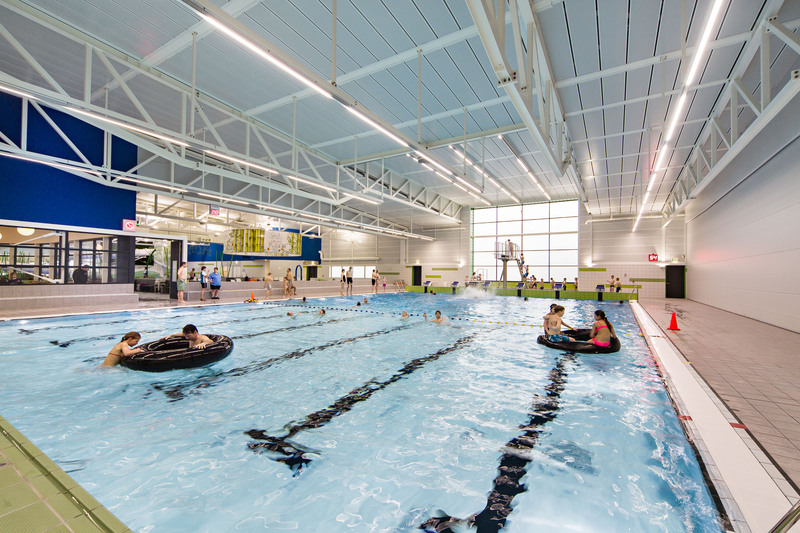 The wet side of the centre will have a 20 meter pool, sauna, steam room, feature shower and hydropool. 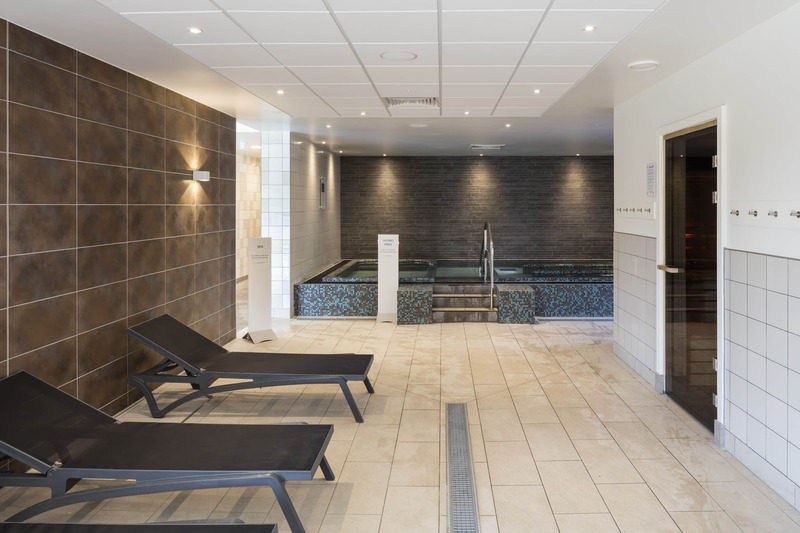 Further relaxation can be found upstairs in the wellness treatment rooms, or in the bar/café area, where you can find a quiet area as well as a dedicated kids club. 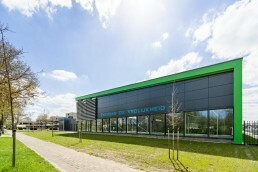 Knowhow, ideas, inspiration and facts were gathered making good use of the operating experience of Pellikaan in Holland. 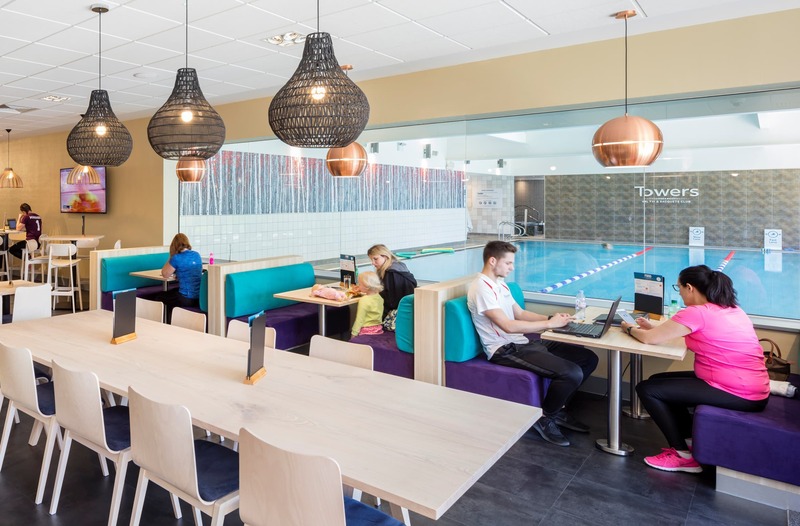 For this design & build project, we work with Hooper Architects and during the design development, the team visited several Club Pellikaan centres, adding valuable insights about the operational consequences of the design.